Did you know that Nova Scotia is the size of the entire country of Denmark? And yet, it’s the second smallest of Canada’s 10 provinces! Why do I love Nova Scotia? Who wouldn’t love a place that offers endless ocean views and stunning mountain vistas simultaneously? There’s plenty to do – go kayaking or hiking in Cape Breton, enjoy whale watching on the Bay of Fundy, or sample some of the best seafood in the world! • You’ll never find a friendlier place than this! There are plenty of ‘friendly Canadian’ jokes out there. And they’re mostly true! Particularly about Nova Scotians; so don’t be surprised if the locals stop to chat with you. We’re also proud of our heritage and many of us are animated storytellers. If you’re lost or need help – all you have to do is to ask one of us. You never know, you might just end up sharing travel stories over a pint in a nearby pub, stomping your feet to some local music. There could never be an experience better than hiking in Cape Breton. It offers some of the best and most challenging trails in all of Nova Scotia. 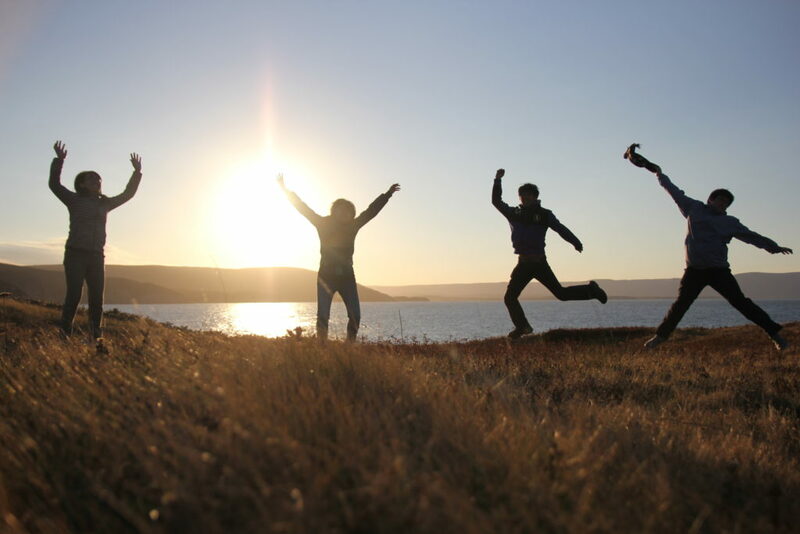 You could either choose from the simple trails that can be done by just about anyone or sign up with companies offering adventure tours in Nova Scotia for trails that pass over several mountains, through secluded coves and take days to complete. If you happen to be here in time for fall, don’t forget to witness the breathtaking view of our autumn foliage strewn across the landscape. It’s sheer delight to set about on adventure activities against a backdrop of a colorful palette of red, yellow, and orange hues. You cannot visit Nova Scotia and not go whale watching among the world’s highest tides on the Bay of Fundy. Some of the rarest and largest whales in the world come to feed here every summer! The Bay of Fundy has sea caves, cute fishing villages and a long history of pirates from the rum-running days! You never know what kind of treasures you may find here. 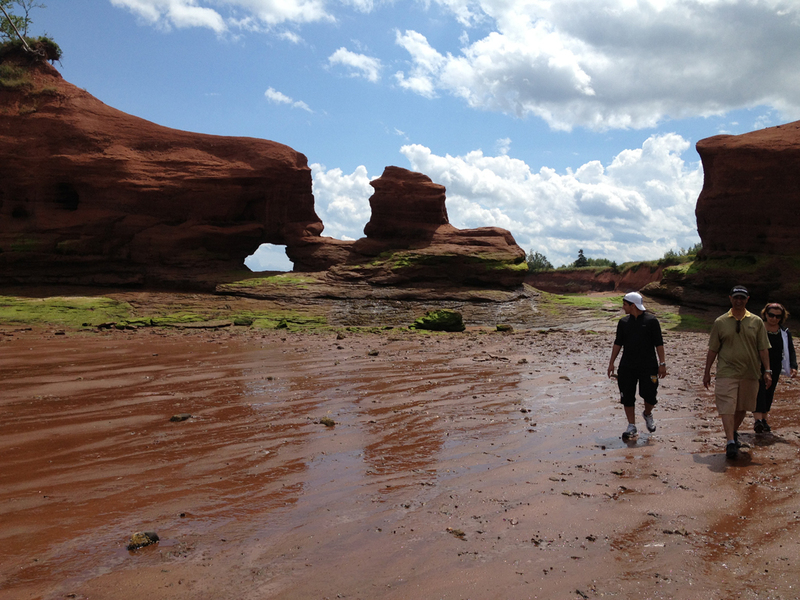 Oh, and don’t forget to get your feet muddy while walking the ocean floor during low tide on the endless mudflats of the Minas Basin. Did I forget to mention you can also ride a wave known as a Tidal Bore on a zodiac? Everything about the Bay of Fundy is awe inspiring! There are plenty of things to do in Nova Scotia. Call us to book your next trip to the Bay of Fundy or Cape Breton and the world famous Cabot Trail and be treated like a local with our warm and generous hospitality.